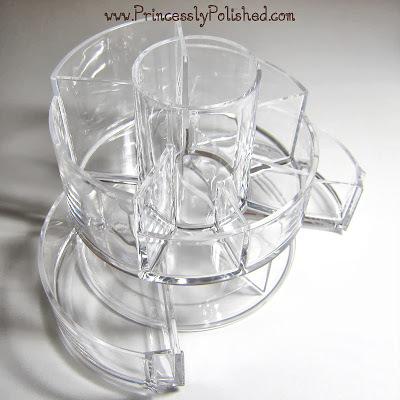 Princessly Polished: Getting Organized With the Social Butterfly Acrylic Counter Tray by Caboodles! 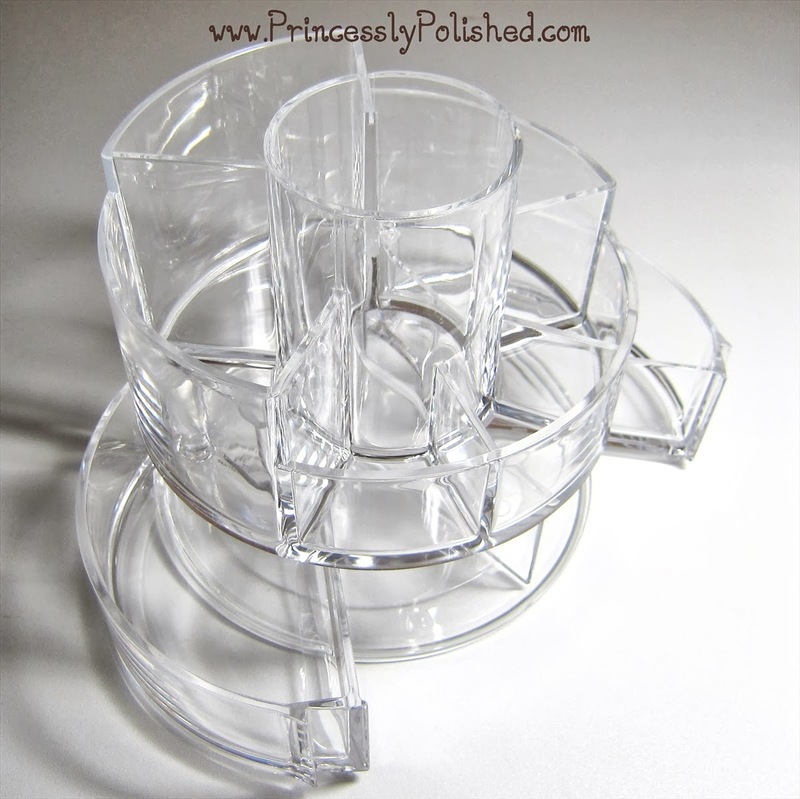 Getting Organized With the Social Butterfly Acrylic Counter Tray by Caboodles! 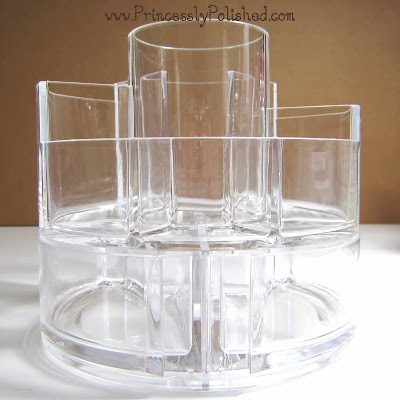 This is called the Social Butterfly Acrylic Organizer. I found it listed on Target.com for about $15, and considering there are no Target stores near me I'm pretty happy to have gotten one after all! It is bigger than expected. 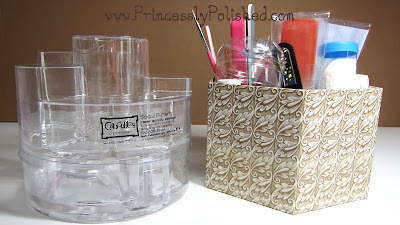 I was originally planning to use it at my make-up dresser, but when I opened it I realized it was very similar in size to something that desperately needed better organizing... Enter my manicure "caddy". 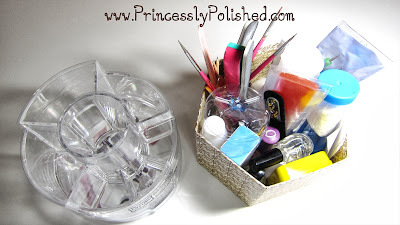 A handy hexagon-shaped box crammed full of what I need to keep on hand for doing my nails. It's a good size to grab-and-go, but as you can see it ends up very messy... and what I need ends up on the bottom, of course! 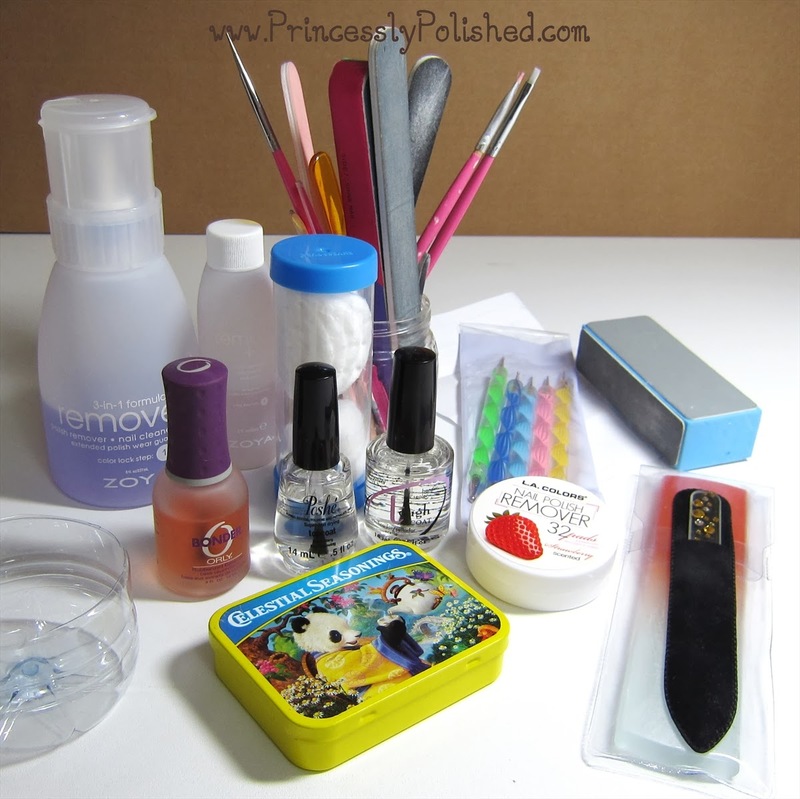 Nail polish remover, a small bottle of straight acetone for clean-up, a glass jar filled with files, brushes, tweezers... My tube of cotton pads, dotting tools, a nail buffer, assorted base and top coats, polish remover pads, my glass nail files, and my tin of cotton buds. 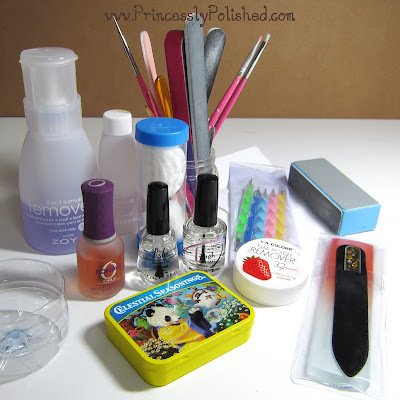 Some things I realized weren't needed for constant use, so I took them out altogether! 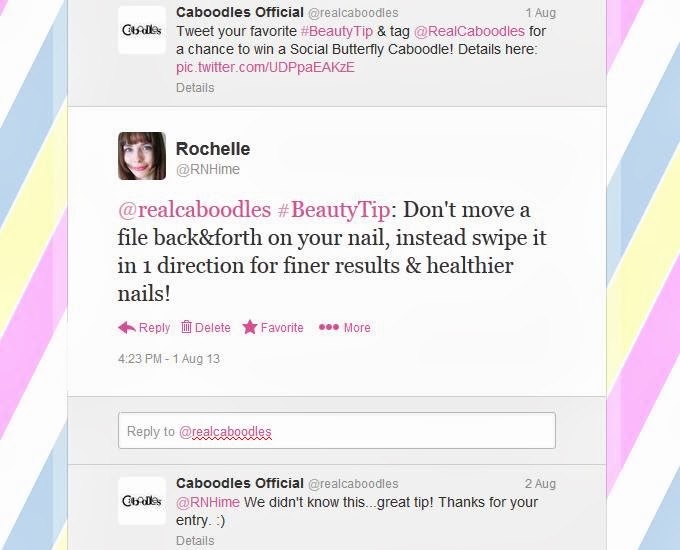 I also threw out some of the old disposable nail files that I don't use anymore. And so my new case went from empty... to nice and full! The only thing I couldn't fit in the organizer was my bottle of nail polish remover, which is too bad. But, everything else has it's spot. 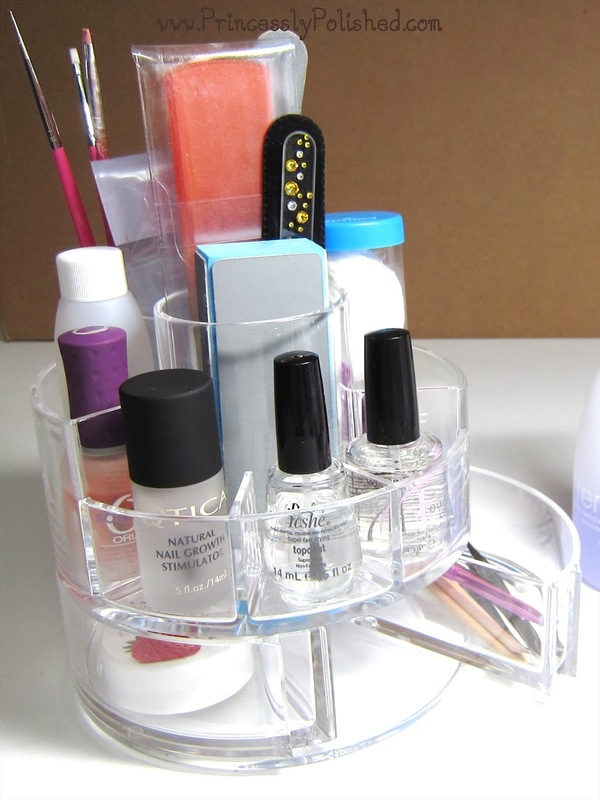 All the tall stuff gets sorted into the upper compartments, and my most used nail treatments, bases, and toppers are in easy view. I think I'll finally stop misplacing them! Little things are stashed in the lower drawers. I was apprehensive about having doors swinging out on something that I do pick up and move frequently, but that hasn't been an issue at all. I've been using this organizer for about a week now and I'm really happy with it. 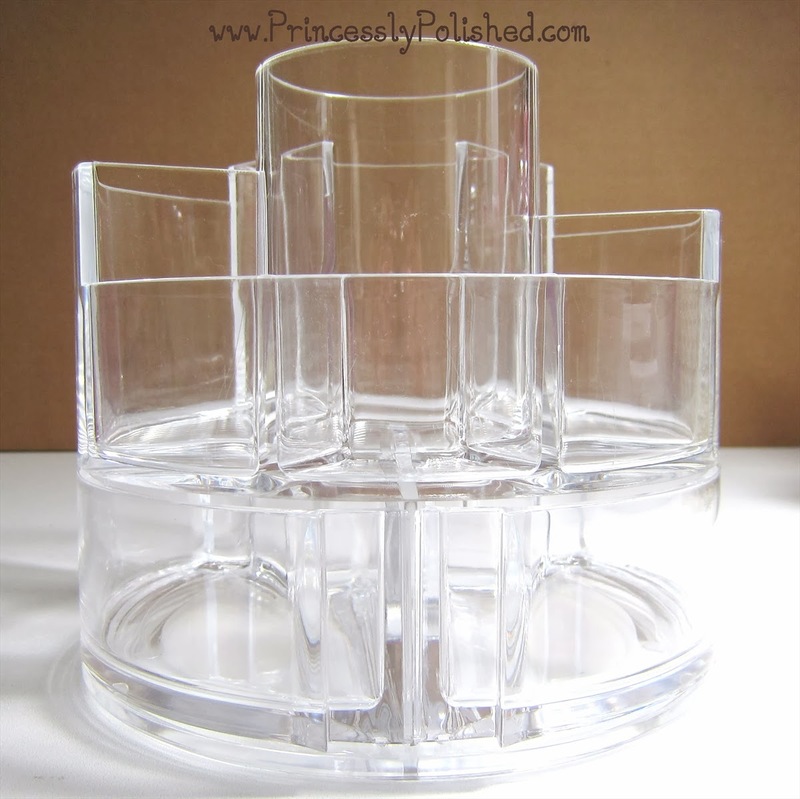 I love the clear acrylic, which somehow stays smudge-free and of course keeps everything perfectly visible! This is definitely a step up from a single small box.